You will have no doubt seen this bag numerous times on my Instagram posts featuring in my outfit of the day posts. It just goes with everything! It reminds me of a hybrid of a Chanel (chain strap) and a Chloe Drew (the shape). I have a Chanel bag but it feels a little ostentatious for everyday. 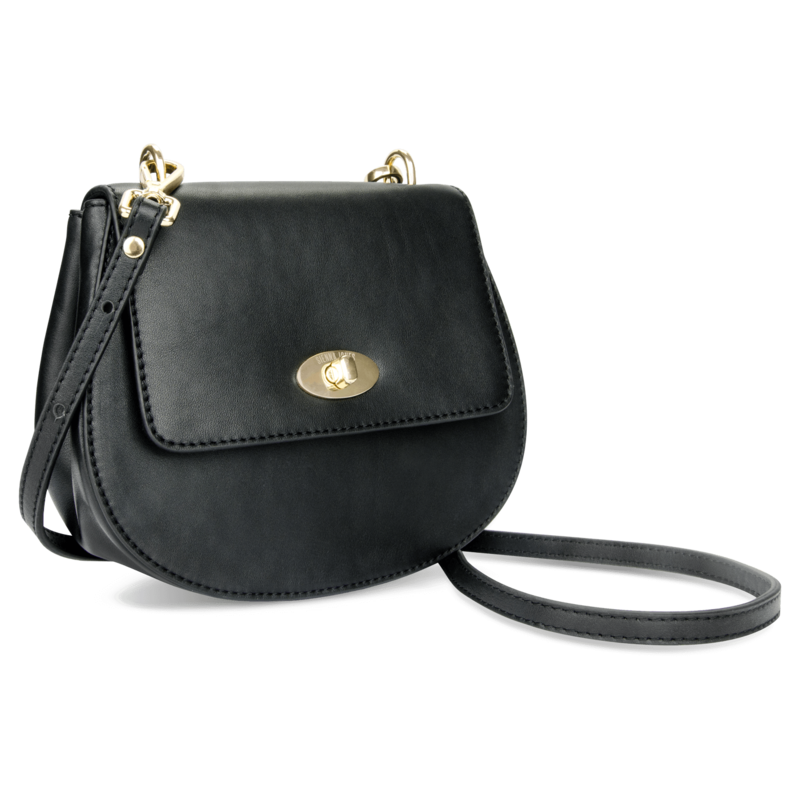 This bag is such a lovely little piece of affordable luxury at £150. It is well worth the price tag, the quality is gorgeous, it's made from first grade leather. It's the perfect everyday size to fit your purse, sunnies, phone and lippy. Another little bonus with this style is that the straps are detachable, it comes with an adjustable leather one as well.....Brucie bonus.....two bags for the price of one! Better still with code MFF15 you can get 15% discount off all of the bags on the website. Happy days! 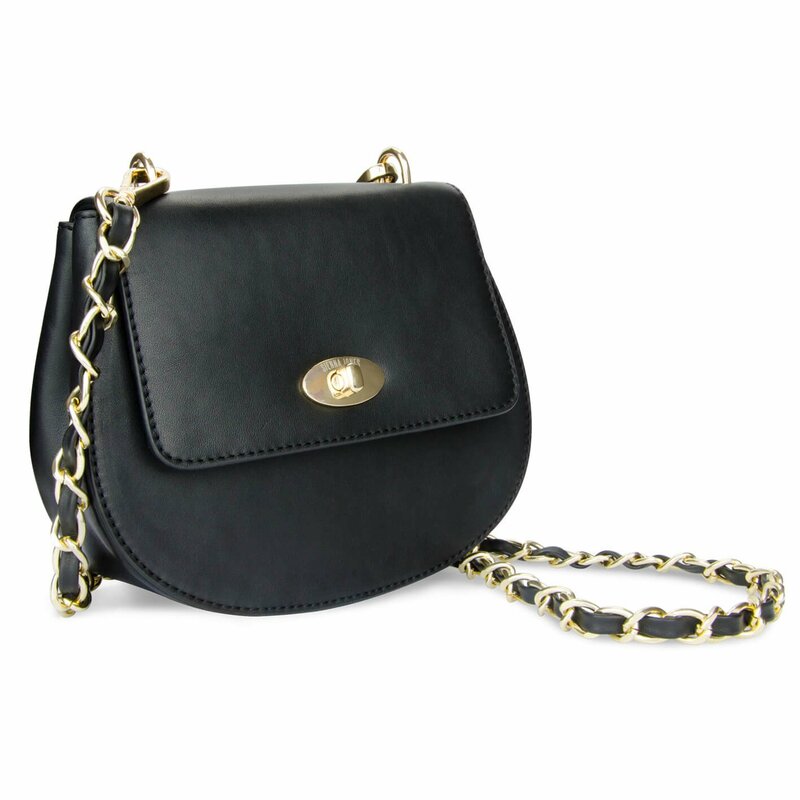 Sienna Jones bag 15% off with code MFF15 I should also add that this style also comes in blue and green. Talking of green. This bag has had a lot of love over on Instagram. I love it! And for the last few days I've been busy planning my outfits around it......anyone else do that? Sienna Jones bag 15% off with code MFF15 This ones called the city bag and also comes in brown (more of a tan) dark red, black and of course green. It's full of compartments and zipped pockets if you like to be organised. The strap is adjustable, I've been using mine as a crossbody bag. The hardware is gold, it's quite chunky which I really like. It's a winner! Sienna Jones City bag 15% off with code MFF15 Topshop coat, ancient similar here Chinti and Parker sweater via Atterley here Next jeans, previous season alternative here New Look shoes, past season alternative here Now this bag I coveted for quite a while since backpacks are a *thing* this season. In the flesh it totally exceeded my expectations. The quality speaks for itself. There are 3 ways to wear this one thanks to the detachable straps. Classic backpack, over the shoulders, again the straps have buckles and are fully adjustable. What is really smart about this bag is that you can use one of the backpack handles to clip onto both sides of the body of the bag and use as a shoulder bag. Genius! Obviously you can hold by the top handle which is the easiest way for me to work it in my outfit of the day shot...... as you can see. The classic backpack comes in brown (the colour I have) also in black, dark red, beige and green. Definitely one for the Christmas wish list or a bit of indulgent self gifting! Any of the above would be a great investment to add to your bag collection. Which one is your favourite? There are many other gorgeous styles to choose from on the website here. I shall be styling up a couple more for you in due course....perfect for party looks for the festive season. I shall keep you posted! It's half term and we off for a bit of R&R for a few days so I'm looking forward to indulging myself in a bit more blog writing....it's therapeutic. Be back in a few days! This post was written in collaboration with Sienna Jones, all words and opinions are my own.